Getoomi lets you sell your time by the minute. 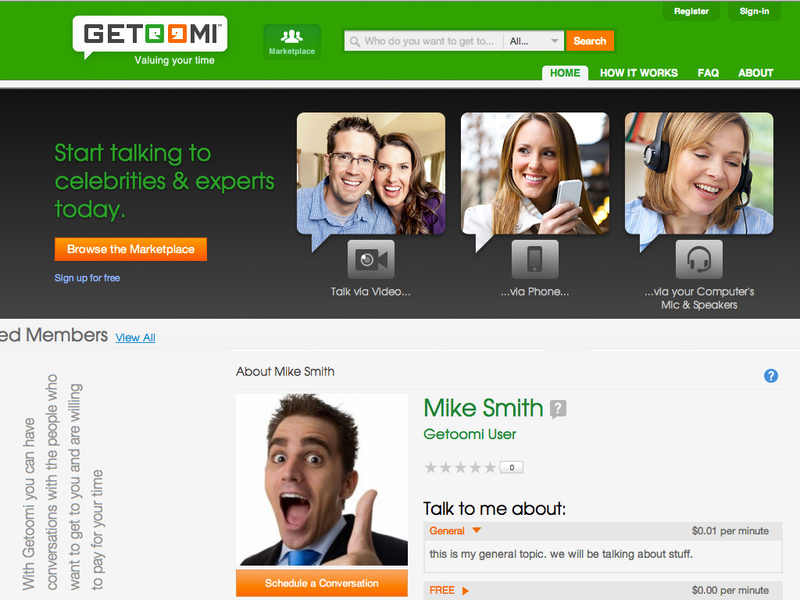 Getoomi is an online marketplace where you earn money by having conversations and charging by the minute. 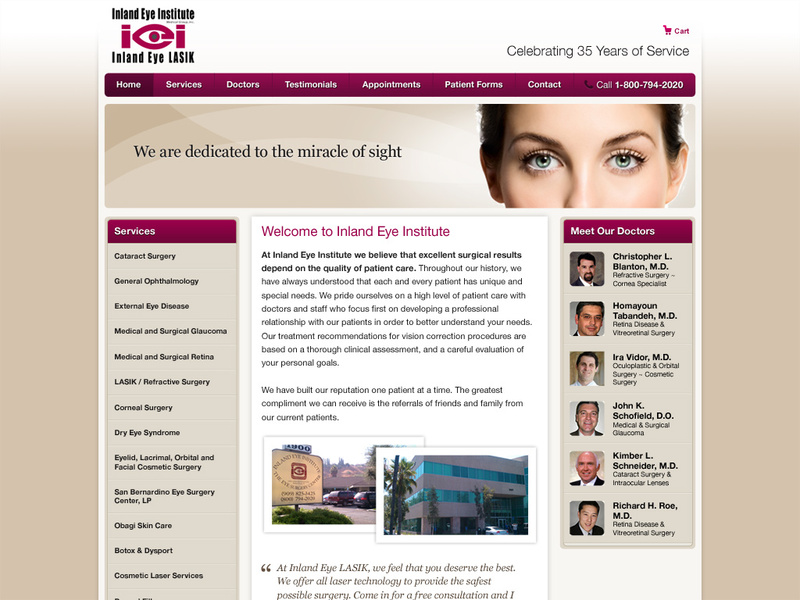 Inland Eye Center was a redesign project. 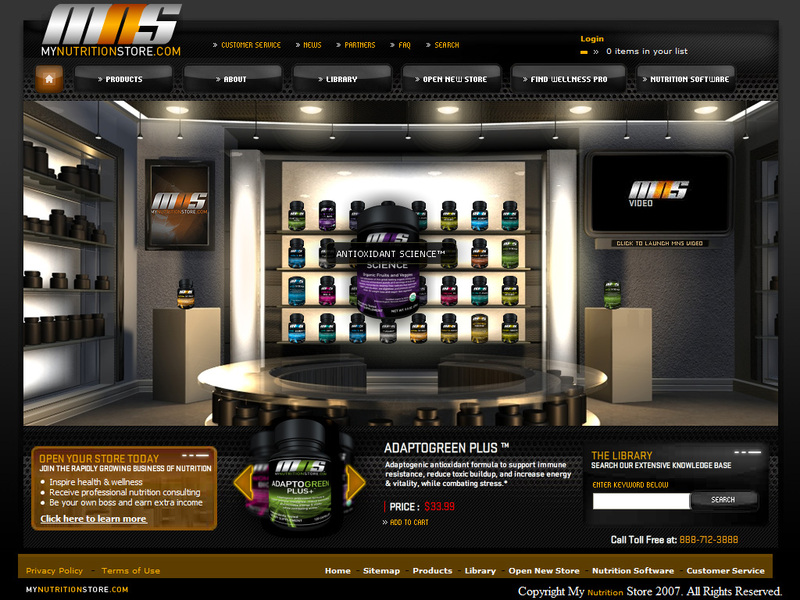 The site features an e-commerce cart, CMS and a jquery hero shot. 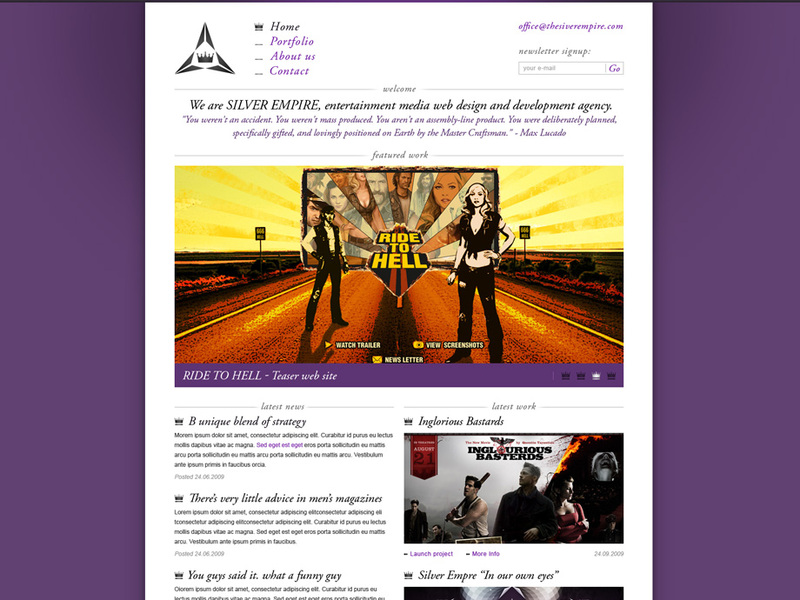 Silver Empire is an experienced and talented web design agency delivering the highest quality Flash, xHTML, dHTML and hybrid websites for our clients. We specialize in web development, SEO, e-commerce, branding, etc. 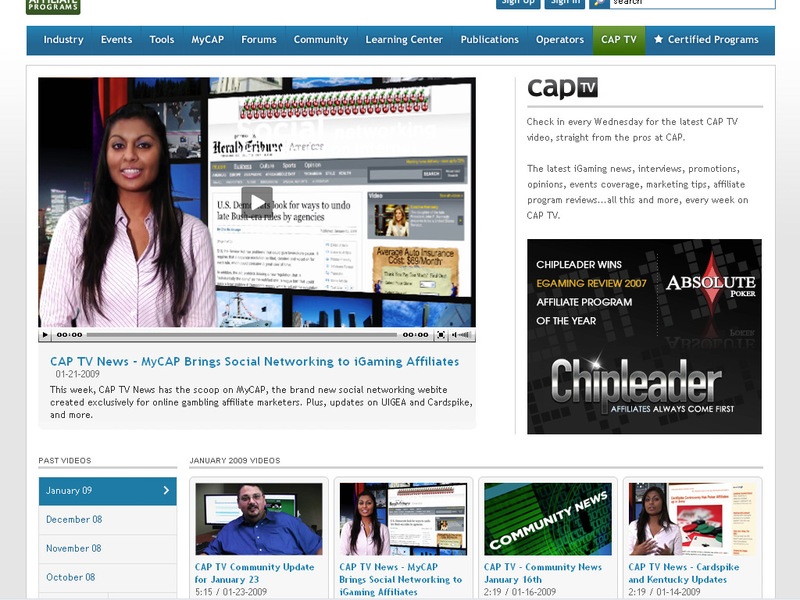 We provide Web 2.0 solutions, Enterprise, Social Networks, and other internet delivery channels. 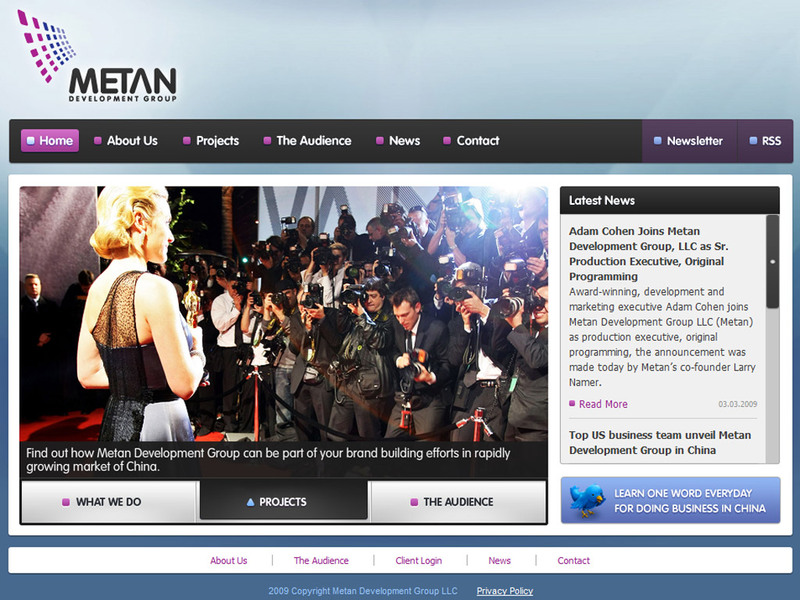 METAN creates and delivers original entertainment based programming and acquires content that will have particular appeal to the young urban Chinese audience--the fastest growing consumer market in the world. 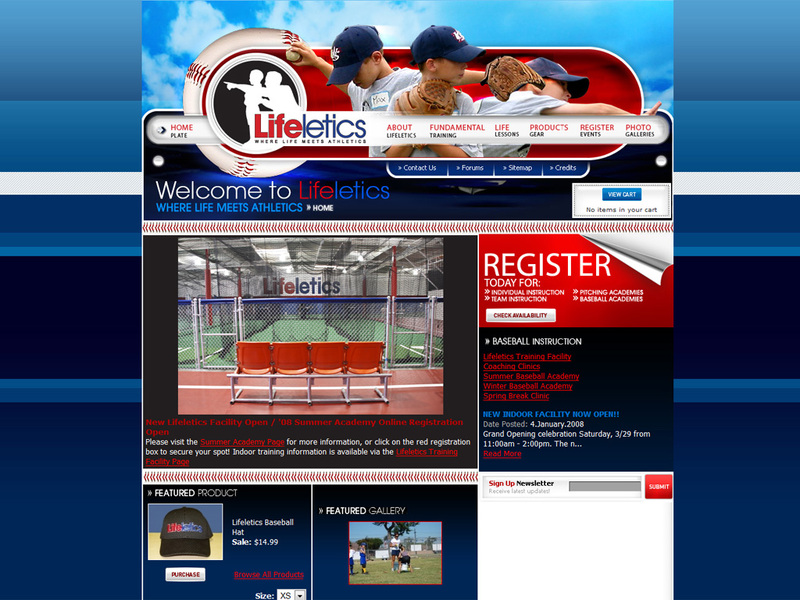 Worked on this project and got to use a custom framework, as opposed to the joomla one I was stuck with. I think this one came out pretty well, in my opinion. 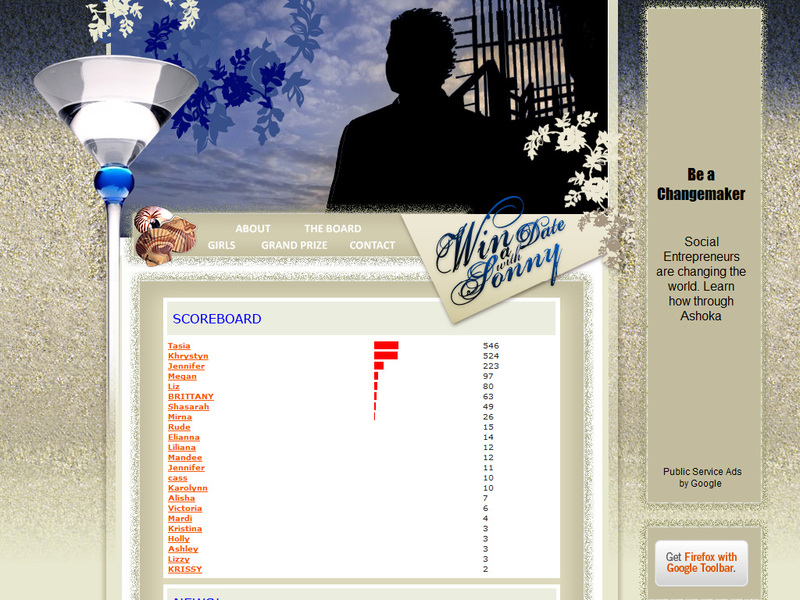 It has a full admin panel that controls every piece of content of the site. 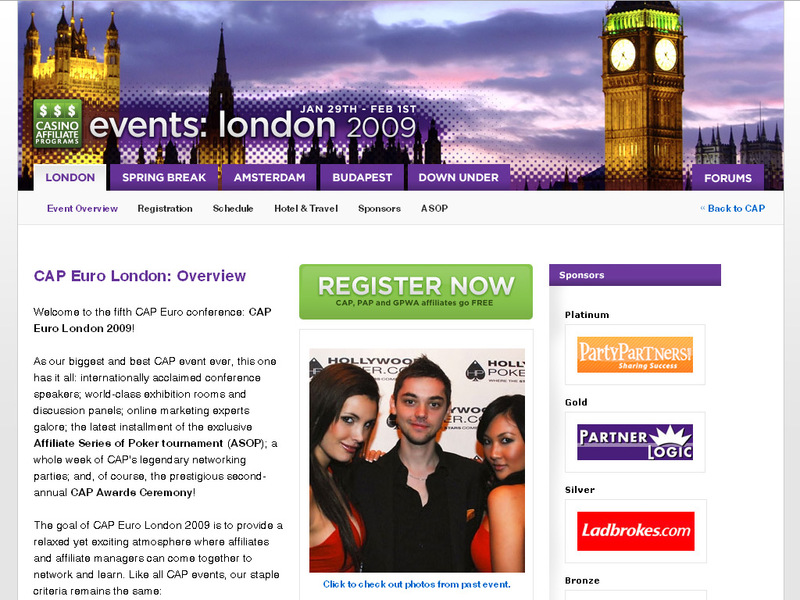 This microsite was built on an existing website for the CAP. The purpose was to release new videos about the poker industry every week. 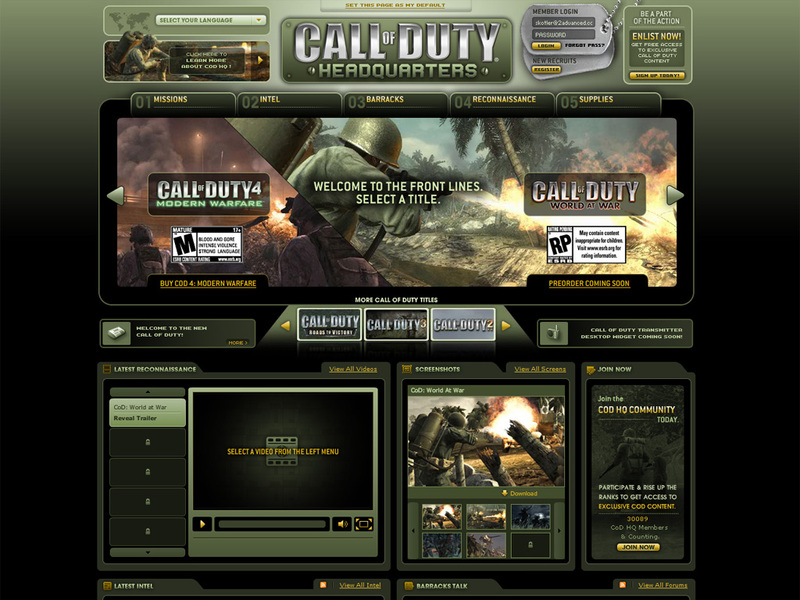 This was done during the same time as development for Call of Duty. I was mostly involved with the frontend buildout, globalization, and content management. This was a CRAZY project with a very tight deadline and a lot of all nighters and unwarranted stress. It required me to buildout all the sub pages which was something I hadn't done for quite some time now and on top of that, I had to buildout starting with someone else's build which complicated things a bit. 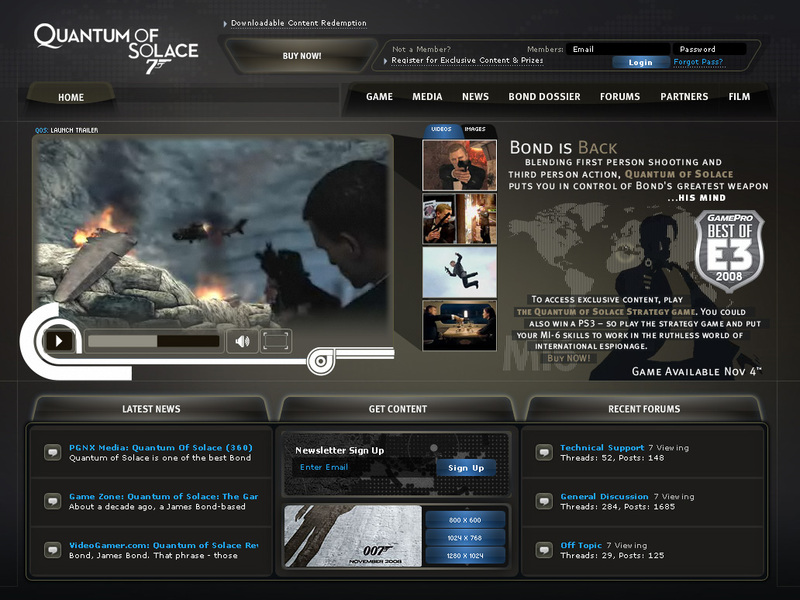 In the end, though, we came out with a nice looking website that I personally like. 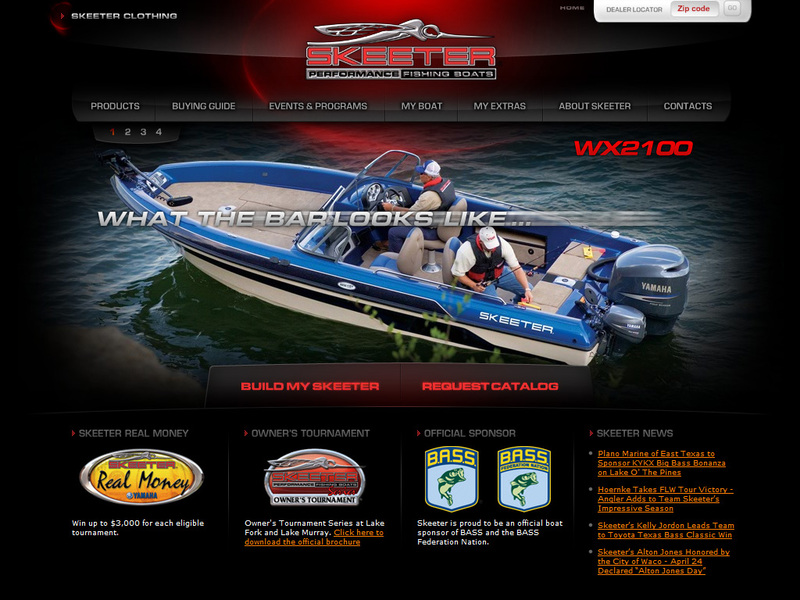 Skeeter Boats was a very fun website to do. This was another very heavy development site. This has an automated CRON job setup to send out emails daily/weekly/monthly to distributors. It also has a very intricate signup process to events. 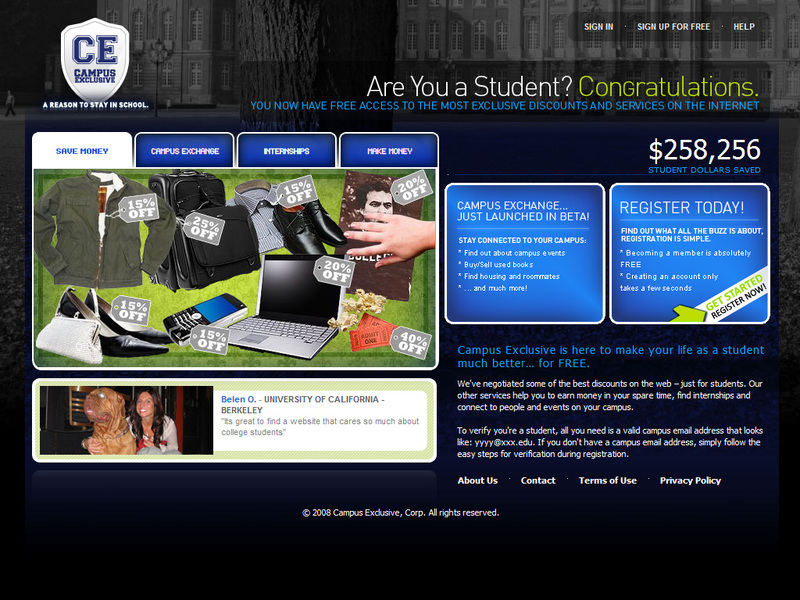 Campus Exclusive was a great learning experience. 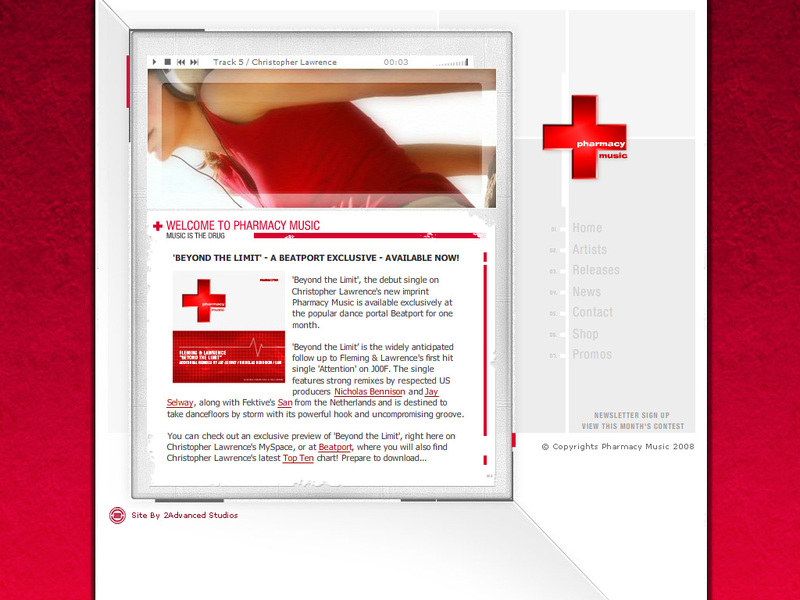 This was the first site in which I used a custom framework from Sarah. It is completely object oriented. The site features a robust content management system with a Mass Mailer system, User Account Management, Listing Controls, and an Internship manager to name a few. This site has a lot of little bells and whistles when it comes to features. You can see their sign off the 405, heading South, by Culver. This is an online nutrition website that allows you to become a reseller for their products and to make money doing it!! The site developments included the "Find a Wellness Pro" feature, any additional promos done via e-mail, a little subpage buildouts, and forgot password section. 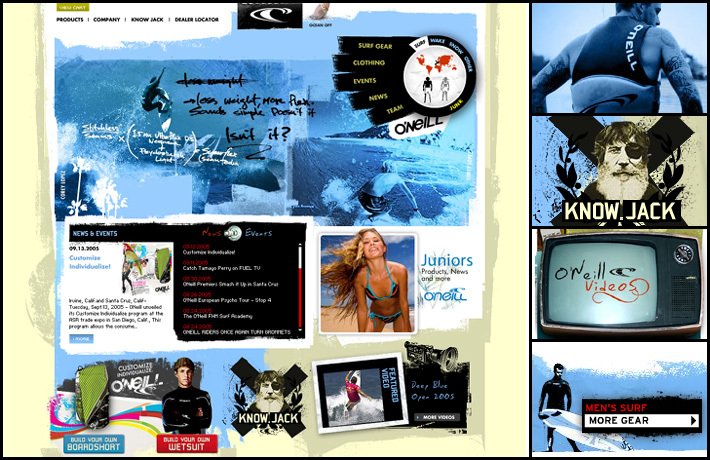 This was a site I did as freelance. 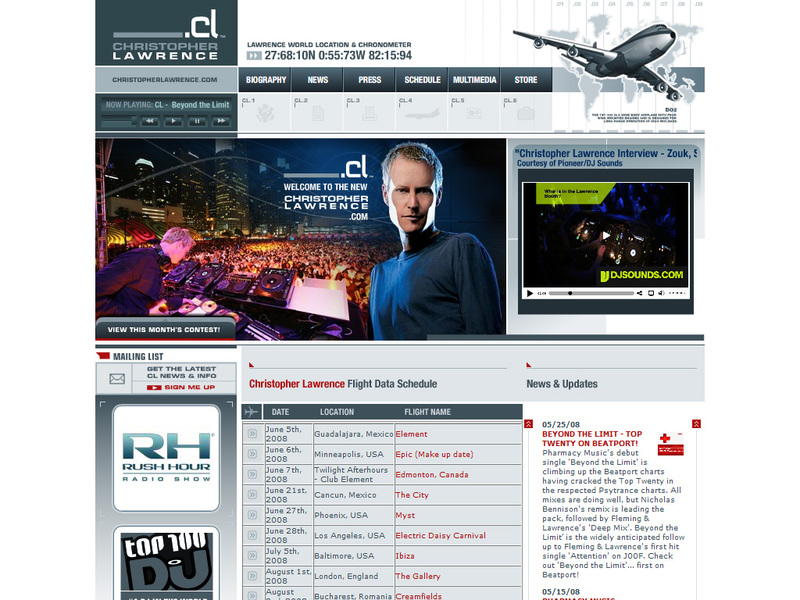 It is Christopher Lawrence's record label. 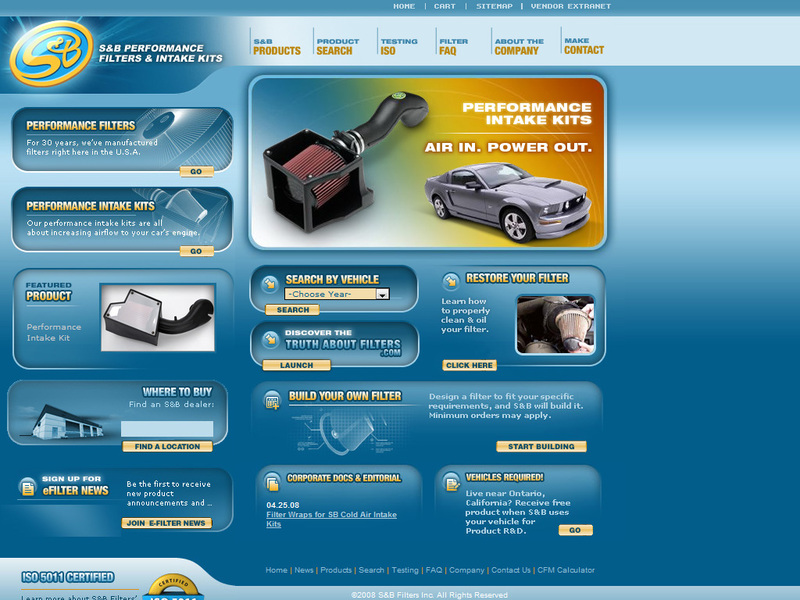 The site has a Content Management System and is using dynamic XML to populate most of the flash content. I have been working on this website for awhile now. I was responsible for building the content management system that controls all the content on the site. Mike Matz is the original programmer on this site and I have taken over for him on a lot of the items. So, I came up with this idea that maybe if I get a website up I can find a girl to go with me, like a date! Genius, right?! So, after a year of mulling the idea over and finally getting some free time, I decided to develop the website. The winner got a free weekend cruise with me to Ensenada and back. 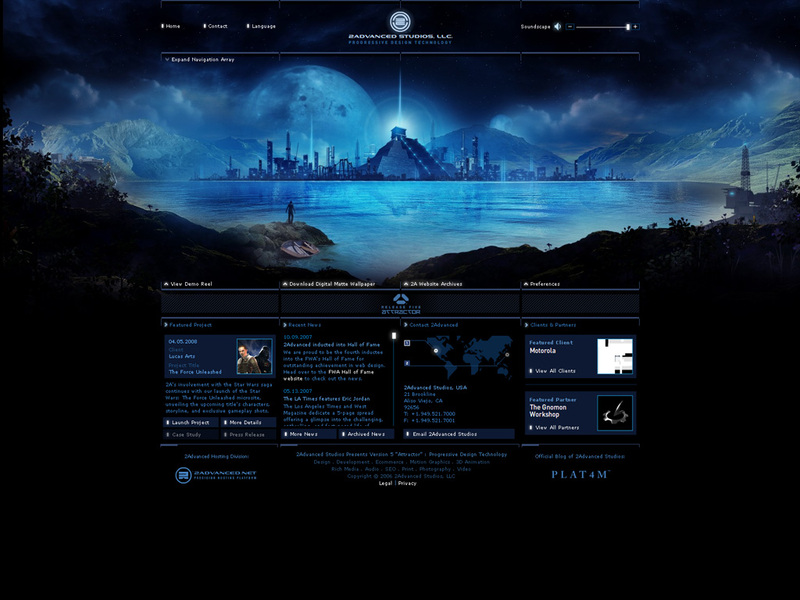 The pictures have been archived, as well as the site. This was a site I worked on wayyyy back at 2A. It is pretty basic, in terms of development, but it was still a fun site to work on because everything went fairly smooth. Christopher Lawrence was originally developed in 2004. I took over this when I arrived at 2A in mid-2005. This site involves more of maintanance and little upgrades, more than anything else. I have, since taken over, expanded the content management system, added a music player, video player, and various content updates. This is my pride and joy of my short career. I was responsible for all the content management tools and the design of the database. This was made around the time of MySQL 5, so we got to experiment a little with stored procedures for the different languages on the site. The site also has XML caching. S&B Filters was a crazy project that required a lot of features to be built into it. 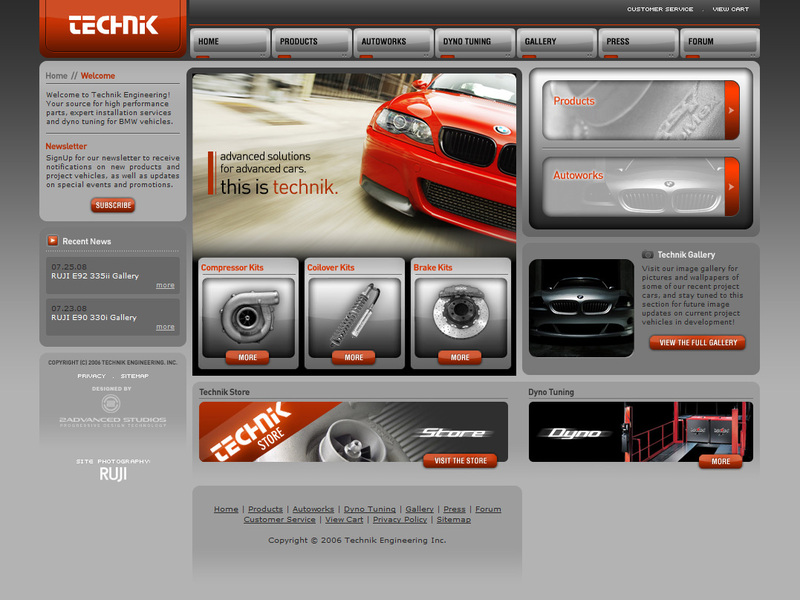 Some of the dev I did on the project includes, a dealer lookup, the flash hero shot, full e-commerce shopping cart, featured product, "product suggestions" based on the product you selected into your shopping cart, discount codes, a custom shipping calculator based inside the admin tools, a content management system, and it has a "Vehicles Required!" which allows the admin to post upcoming sessions for customers to test new products. I guess it's safe to say this site was massive. This was my first freelance gig I got out of college. 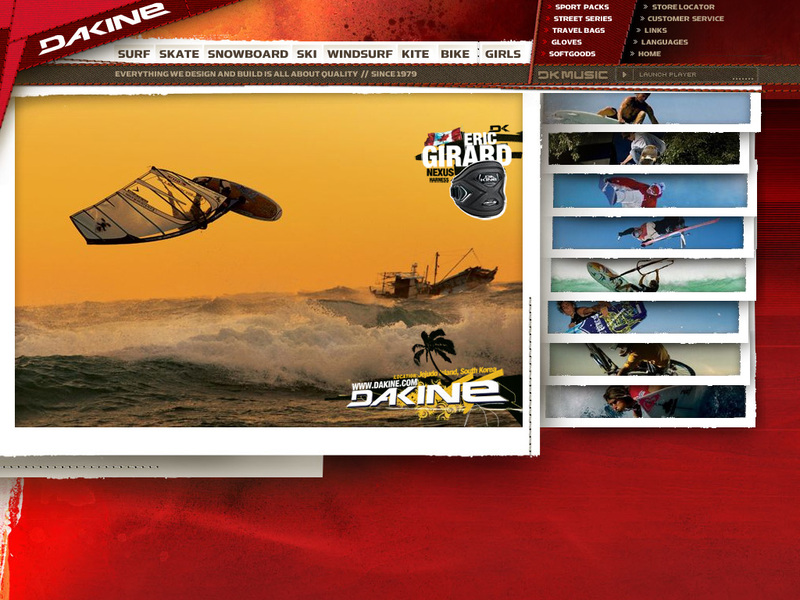 The site features a very handy content management system to control all the front-end information. It also has a very intricate E-Commerce system. The admin can create individual events with specific times and dates for the end user to select and purchase sessions. This was the first website thrown my way at 2A. I had to develop a dealer lookup and tie in the E-Commerce throughout the whole website.